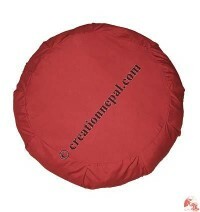 Creation Nepal, an online leading handicrafts online store provides high quality Buddhist ritual and Dharma articles from Nepal, Tibet and India. We offer Nepalese hand crafted Tibetan ritual products like Tibetan buddhist ritual instruments, Buddhist objects of worship, Buddhist objects and symbols, Buddhist religious artifacts etc. 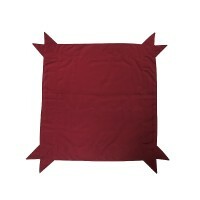 online at wholesale price. 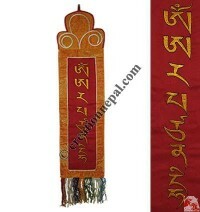 As a wholesale suppliers of different types of Nepalese handicrafts and Dharma articles, Creation Nepal offers Tibetan and Buddhist ritual items made by Nepalese craftsmen. 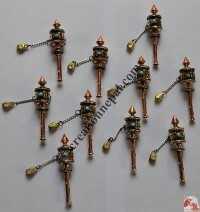 Tibetan crafts and Buddhist items of Nepal are highly demanded due to their uniqueness and high quality ritual items. 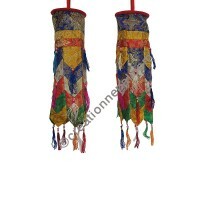 We carry the important Tibetan ritual items that are necessary to practice at the time of Buddhist ceremonies, worship at the monasteries and meditation. 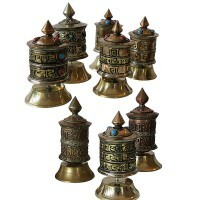 The Buddhist prayer bells, Tibetan Drum (Damaru), The Buddhist right turning conch (Shankha), Busshist prayers beads (Mala), Tibetan prayer wheel, Tibetan Dorje (Vajra) and Tibetan Phurba are considered the most holy Buddhist artifacts which are available with us to purchase online at best prices. 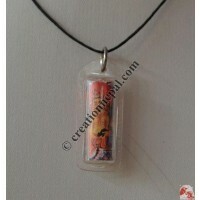 Find varieties of beautiful items like amulets that contains auspicious signs, icons, Mantras etc. 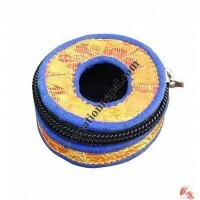 Different size and varieties of Singing Bowls and Cushions are offered online. Whether it is a tiny size decorative singing bowl ,or a large size singing bowl for therapeutic use, it is just in front of your fingertips. 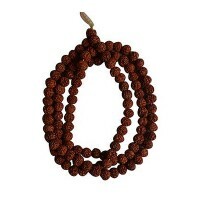 Nepalese hand crafted Malas: Prayer Beads are supplied in wide range of beads and styles. 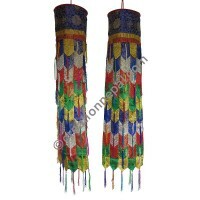 Different size and colored bone mala beads, decorated beads mala, sandal wood beads mala, conch beads mala, and carved beads mala are some examples of Nepali prayer beads malas. 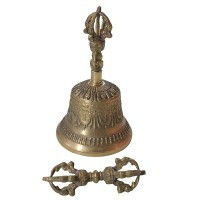 Creation Nepal offers different varieties of Nepali tinsha and Tibetan tingsha bells like Astamangal tingsha (eight auspicious signs tingsha), Dragan tingsha, Normal plain tingsha in different sizes. 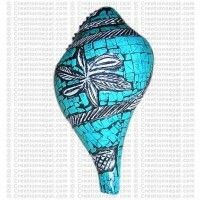 Tingsha bells are being used together singing bowls for sound healing, meditation and other musical instruments as well. 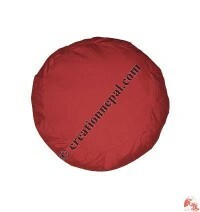 Nepalese handmade Dorje, Phurba, Bells, offering mats are also available in different sizes and designs. 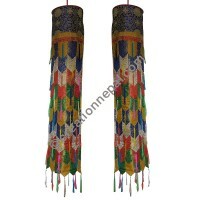 Buy prayer flags, prayer shawls and prayer wheels online at Creation Nepal ! 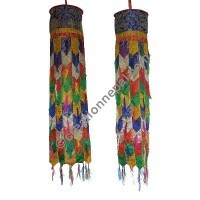 Nepali and Tibetan Buddhist Prayer Flags are offered in different sizes and fabric like polyester prayer flags, cotton prayer flags and Nepalese handmade paper prayer flags with Mantras printed on them. 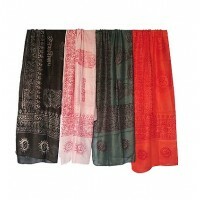 Printed and plain Prayers shawls and Khada are also offered online in different size and colors. 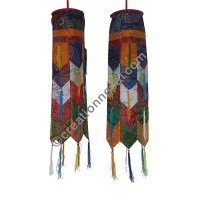 Creation Nepal has different varieties of Nepali prayer wheels and Tibetan design Prayer wheels. 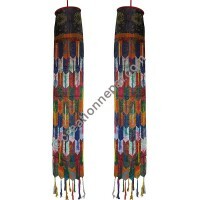 Whether tiny size prayer wheels or a large size stone chips decorated mantra prayer wheels, we have wide range of products online. 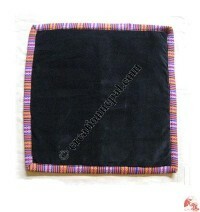 We offer Nepali Monk wear and accessories including Lama robes in best quality fabric. 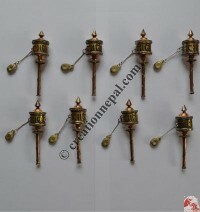 Nepali Butter lamps and pooja accessories, hand carved decorated ritual Conch (Shankha) are beautiful and can be used as decorative handicrafts from Nepal. 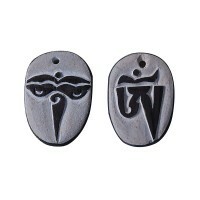 Tibetan Buddhist amulets available with us are blessed mantra amulets pendants that has Tibetan Buddhist symbols, Om Mani Padme Hum mantras and other pictures of different Buddhas. 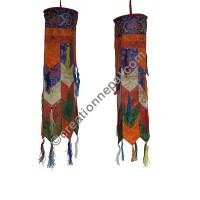 The Brocades, letter cases and Shambo are the examples of our Tibetan Buddhist art crafts at Creation Nepal. 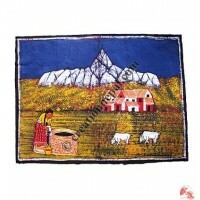 Beautiful and artistic cotton Wall hangings: Batiks are available in different sizes and pictures like Buddha, Elephant, Ring-Yang, Om Mantra etc. 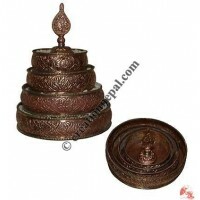 Likewise Decorative wooden items like OM Mantra board, Namaste board, Om Mani Padme Hum Mantra, wooden Tibetan symbols are some of the Nepalese decorative wooden products available online. 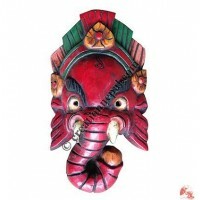 Wooden Mask and Decorative like Buddha mask, Bhsairab mask, Ganesha mask, Shiva mask, Garuda mask and Buddhist symbols are being used in the Himalayan cultures of Nepal and Tibet. Through our store we regular supply the Dharma articles like Tibetan Dorje, Phurba, Bells and offering mats (Vajra the thunderbolt, the beautiful spiritual relic Made of the Buddhist traditions of Tibet, the bells and the auspicious Symbols in the form of brocade) etc. 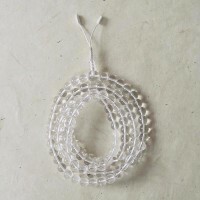 Similarly the prayer Beads (Malas), Tibetan Prayer Wheels, varieties of the Buddhist flags, Decorative Accents, Textiles, Wall hangings, cotton Batiks, Malas (Prayer Beads), wooden masks, clay-cotton decorative masks, embroidered Lama Bags, Cushions, Phurba, Singing Bowls & Cushions, Prayer Flags, Bracelets & finger rings, Pendants and necklaces natural aromatic Tibetan incense, Nepali incense, Indian incense, metal Incense Holders, incense burners, Butter lamps, wooden Boxes Tibetan Tingshas, Ritual Conch (Shankha), Tibetan Calendars and more.